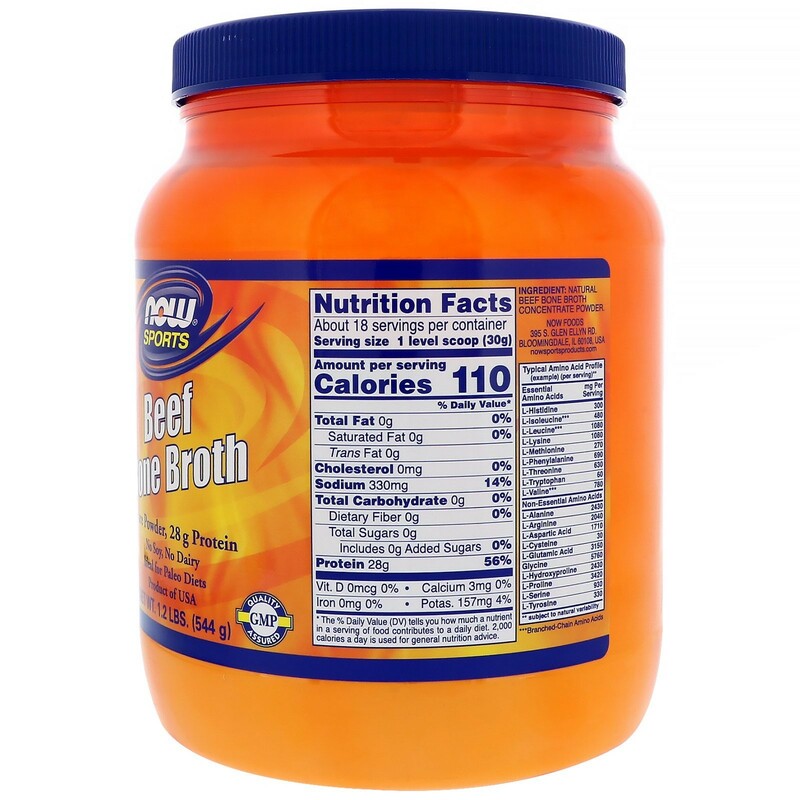 Other Ingredients Natural beef bone broth concentrate powder. Not manufactured with yeast, wheat, gluten, soy, corn, milk, egg, fish, shellfish or tree nut ingredients. Produced in a GMP facility that processes other ingredients containing these allergens. 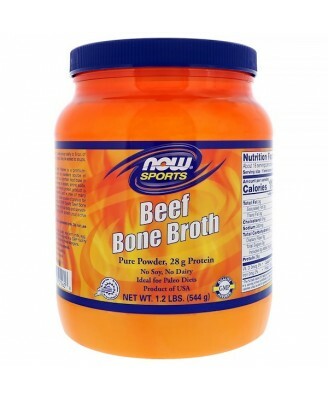 NOW Sports Beef Bone Broth Powder is a premium quality beef bone extract that is an excellent source of natural protein. Beef bone broth is a common food base in many cultures and a natural source of protein, amino acids, collagen and more. This paleo-friendly protein product is made without artificial ingredients, and is free of many common allergens, making it an ideal source of protein for individuals with food sensitivities. 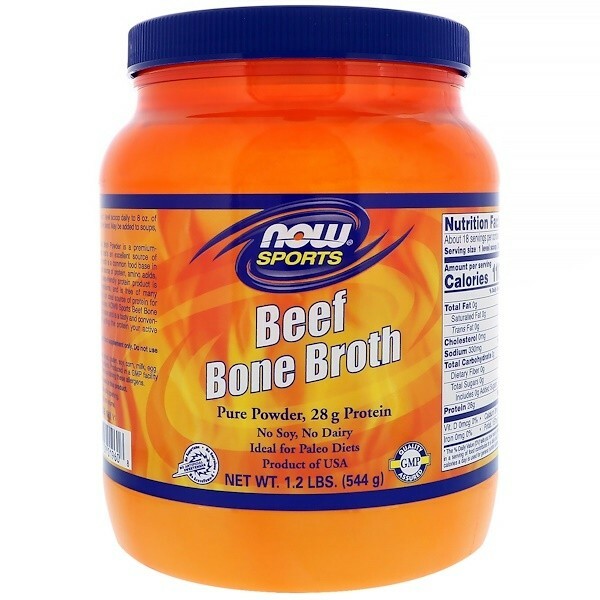 NOW Sports Beef Bone Broth Powder mixes easily in water and is a tasty and convenient way to ensure you are getting the protein your active lifestyle requires.